Behind the scenes: Claremont Showgrounds shootout! 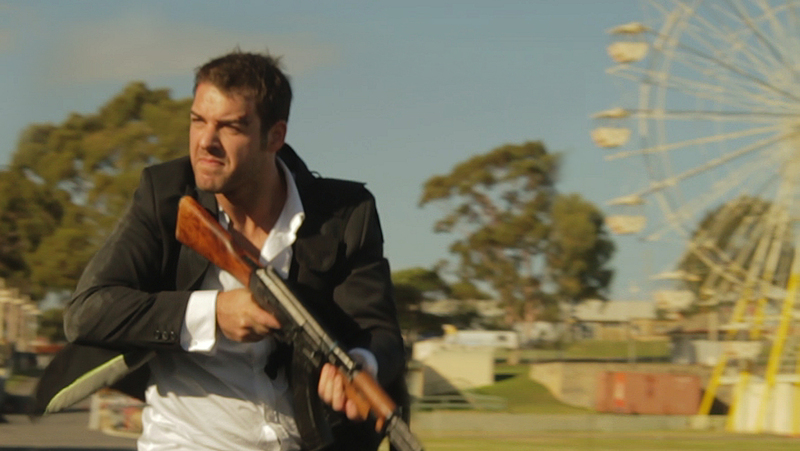 Behind the scenes of the climactic shootout in “The Argentinian Escape!” This week shows you how we filmed at the Claremont Showgrounds. Special thanks to Matt, and the Royal Agricultural Society of WA for arranging access to the showgrounds. Thanks also to Kevin Clarke for providing the awesome cars to add that interesting touch to the location. Remember to click the very simple links at the end of the video for more exciting behind the scenes and completed action films! This entry was posted in Uncategorized and tagged argentinian escape, behind the scenes, claremont showgrounds, shootout. Bookmark the permalink.